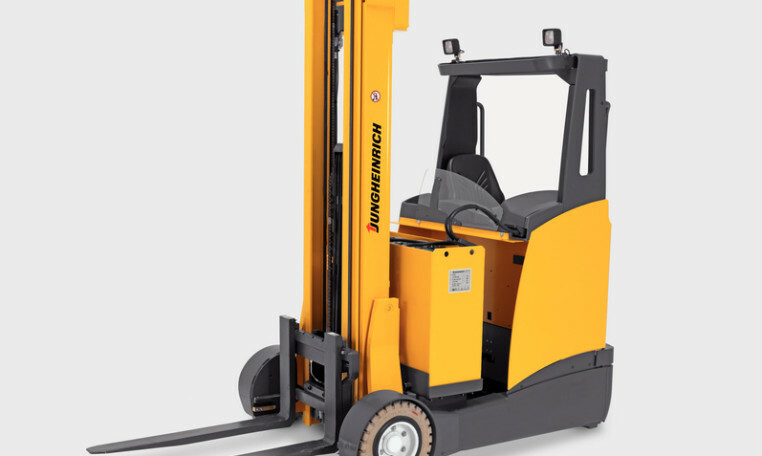 The Jungheinrich ETV C16-C20 series of reach trucks is suitable for applications on a smooth concrete floor in the warehouse or for loading/unloading on a bumpy asphalt surface. 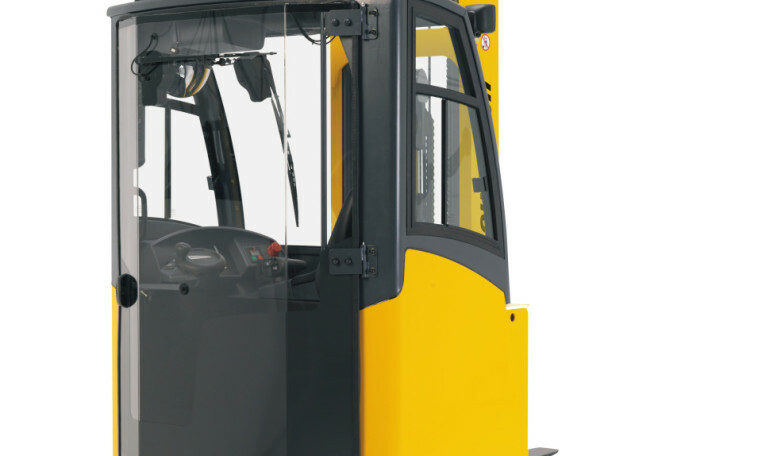 The side-facing seat provides excellent visibility when transporting high loads, and the design and layout of the controls contribute to excellent visibility providing more control for the operator. 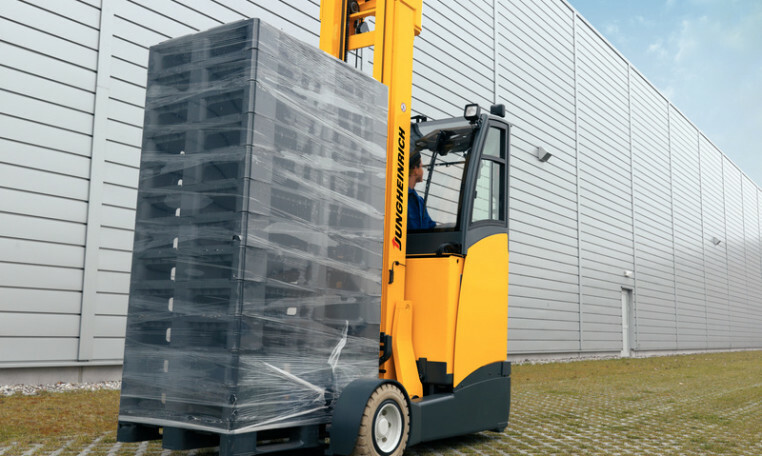 Whether handling pallets, operating in single or multi-shift applications or frequently working outside, these reach trucks provide the ideal solution. 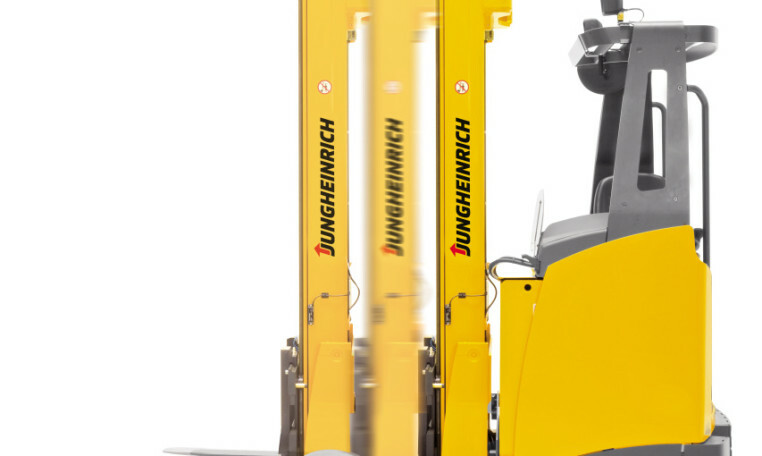 Jungheinrich masts provide excellent capacity and space utilization at high lift heights. Excellent visibility towards the load. Low collapsed heights combined with high lift heights. Extremely long lifespan due to high-quality mast profiles. 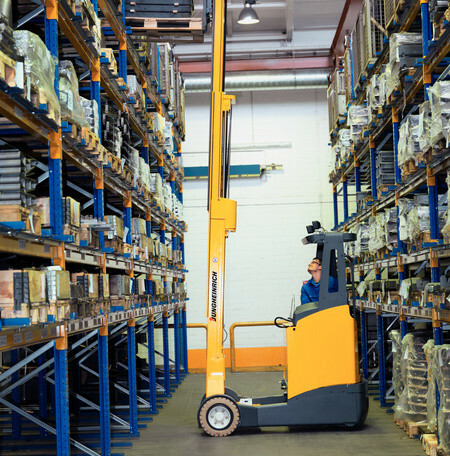 High residual capacity at high lift heights. 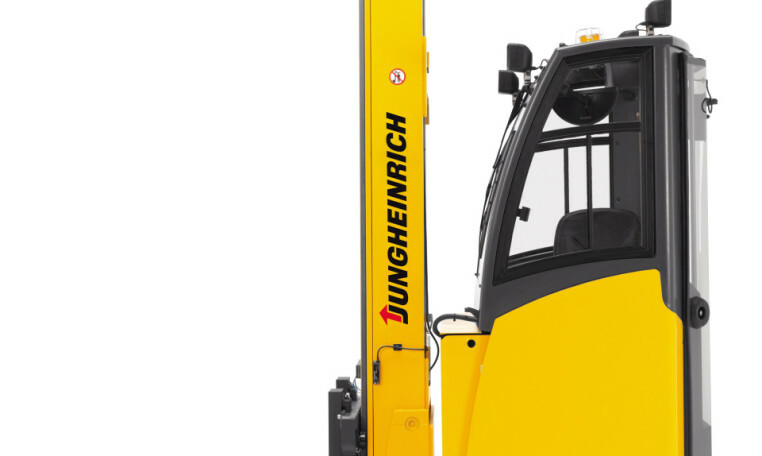 Lift heights up to 24.3 feet. Integrated hose routing for auxiliary hydraulics (no hose reel). The operator compartment provides ideal working conditions for high performance and ease of operation. Entry/exit step plate can be seen from above. Horizontally and vertically adjustable steering wheel. Comfortable seat with adjustment options (seat position, backrest, body weight) for every operator. 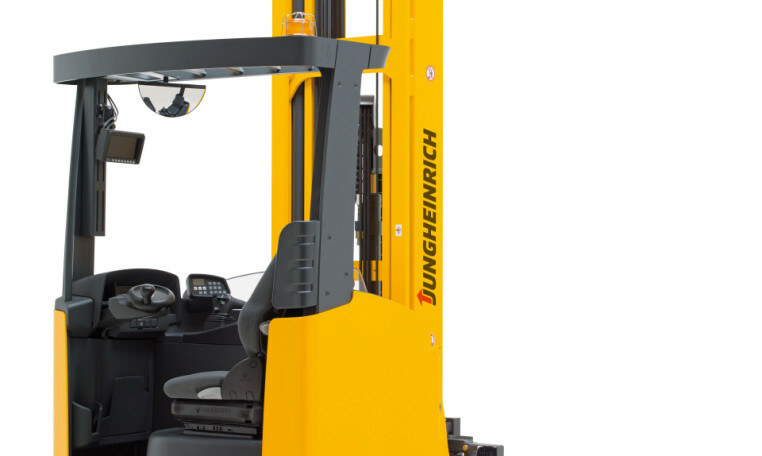 Side-facing seat offers outstanding visibility when transporting heavy loads. Important operating controls are easily accessible. Generous space available in compartment. Electric 180° steering and optimally-positioned steering wheel. Automatic centering of sideshift at the push of a button (optional). Multiple control levers are used to activate all hydraulic functions, including lifting/lowering, travel direction, sideshift and the horn. 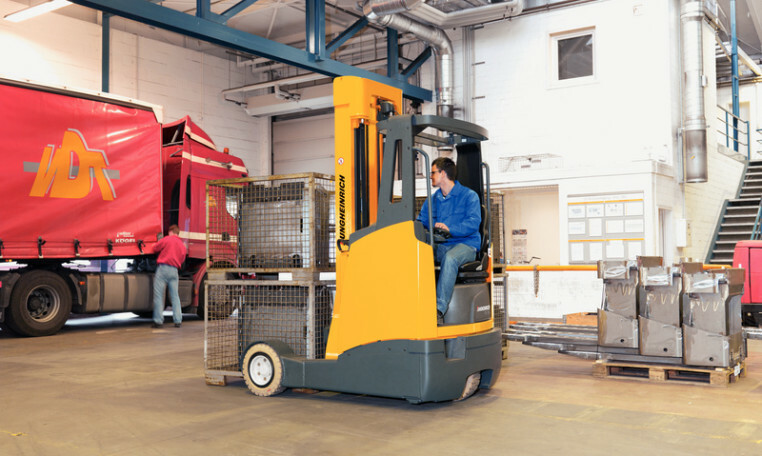 All operating controls are visible and have a designated function. Mast reach and mast tilt are controlled by two separate levers. SOLO-PILOT also controls auxiliary equipment, such as the fork positioner (optional). Precise control as a result of smooth activation of all functions. Adjustable armrest allows the operator to relax. High-quality control panel displaying the most important operating data. Travel direction and wheel position display. Three adjustable travel programs to suit every application. 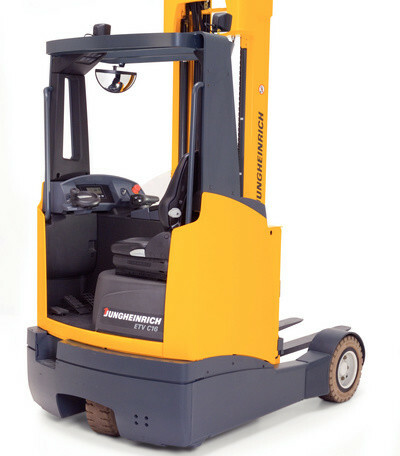 Lift height and load weight (optional). 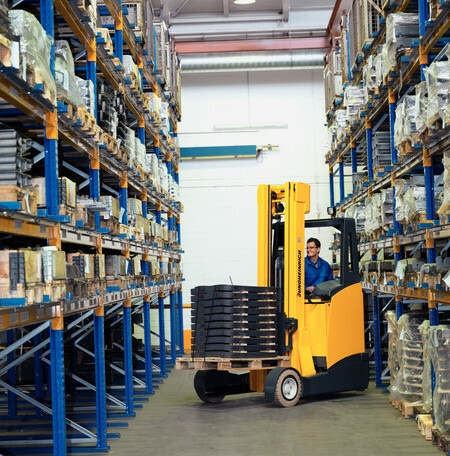 Powerful 3-phase AC technology in drive, lift and steering motors offers several advantages over traditional DC motors. Quick directional changes without delay. Greater operational availability due to maintenance-free motors without carbon brushes, brush springs or commutators. Longer operating times due to energy reclamation during braking. Weather-proof cabins are available in three designs (Economy, Comfort 1, Comfort 2) and provide excellent protection during frequent outdoor use. Economy offers a roof and front screen. Comfort 1 offers a roof and front and side screens for protection against frequent use in rainy conditions. Comfort 2 offers a roof, front and side screens and a door for complete protection.